AUSTIN - State Senator Royce West (D-Dallas) today signed on as co-author of Senate Bill 3 (SB3), a bill that would raise salaries for all Texas public school teachers by $5,000 a year. SB3 was filed by Senator Jane Nelson (R-Denton, Tarrant). "My support for teachers and for public education in Texas has been steadfast and strong since the day I set foot in the Senate Chamber," said Senator West. "The jobs they do in preparing the students of today to be the leaders of tomorrow should never be taken for granted. We ask a lot of our educators and this is a way that we as state leaders can show teachers that we appreciate their efforts and commitment." If passed, SB3 will go into effect for the 2019-2020 school year. Under the bill, school districts will receive an additional $5,000 per fulltime teacher that must be spent on salary. The funds are required to be above the pay received by teachers for the current 2018-2019 school year. The across-the-board raise for all Texas school teachers would also be in addition to any merit increase paid to educators by their respective school districts and is not subject to recapture provisions that require property-rich districts to pay money back to the state. Teacher pay is a national issue. Texas teachers earn on average about $52,000 annually, which ranks in the mid-20s among states nationally. SB3 proposes the largest pay increase for teachers in 20 years. During the 2017 and previous legislative sessions and during the interim, Senator West has served as a member of the Senate Finance and Senate Education committees. Senator Nelson is the current chair of the Finance Committee. 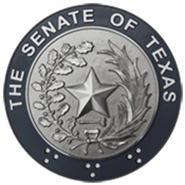 Senator West was also appointed to the Commission on Public School Finance which is charged with making recommendations on ways to improve Texas' school funding system. For more information, please contact Kelvin Bass or Dan Buda at 512-463-0123.